Fairytale Fortune slot is a 5 reel and 15 payline slot game that comes packed with loved up features and bonus rounds, and will have you winning in no time! Benefit from Wheel Bonuses, Free Spins and more on this fantasy themed slot. Built around the ancient folk of the princess and the dragon, would you like to help prince charming save the princess from the tower? Before you get started, get familiar with the symbols on the slot grid, which are; Princesses, Prince Charming, Dragons, Unicorns, Spell Books, Hourglasses, Hearts, Clubs, Spades, Diamonds and Fairytale Fortune Logo. Toggle the plus or minus button to set your stakes and it will also open the bet tab to set your bet levels. After selecting your stakes, click on the Spin button to get your reels rolling. Make use of the Autoplay option, which allows you to choose from 10 to 100 auto spins to put to play. Coin Values: Set your bets from £0.01 to £0.50. The wild of Fairytale Fortune is the Fairytale Fortune Logo, which substitutes for all other symbols bar the bonus icon. Wheel of Fortune: Wheel of Fortune allows you to win multiplier values of; 50x+1, 45x, 40x, 35x, 30x, 25x, 20x, 15x, 10x, or 5x. Land on 50x+1 spin awards one more spin on the Wheel of Fortune. Raining Wilds: 10 free spins are awarded, and from 3 to 10 spins raining wilds are added to random positions on the reels. Super Wild Free Spins: 10 free spins and 1 super wild free spin are awarded, for the first 10 free spins up to 15 wilds hit the reels and are collected. 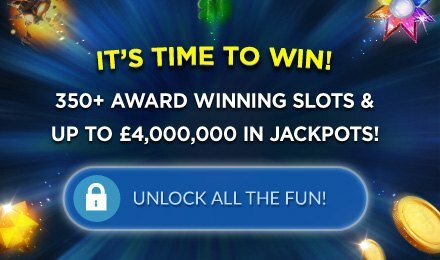 Progressive Free Spins: 10 free spins are awarded. Collect points to advance through five consecutive levels. During the play of the feature, Rose symbols appear on the reels. Look out for them as each award one point. If you manage to collect over 20 roses, you’re taken to level 5 where stacked wild spins on the reels.